Winemaker Markus Niggli grew up in Switzerland before starting a career in the international travel industry. After a successful run as an executive, he began to look for a change of pace. Soon, he was working as a cellar hand in the wine country of western Australia. From there, he headed to California where he joined the team at Borra Vineyards in Lodi. Founded in 1975, Borra was the first bonded winery in the region, forty years before the national wine press started talking about the serious potential of the district. Markus was quickly promoted to head winemaker, and in 2014 was able to start his own side project. Markus Wine Co. focuses on producing wines that show a European sensibility, with a lightness on the palate and mouthwatering acidity on the finish. Although world-class wines are produced in several Swiss cantons, ninety-nine percent of it is consumed locally. We are glad Markus made the move to the Golden State so we can share one of his wines with you. We released our last Vermentino back in April 2017, so we felt we were overdue for another one. As a reminder, the Vermentino grape is one of Italy’s most important native white grape varieties. Its most famous renditions come from the island of Sardinia, where it thrives in the warm, sunny climate. It makes sense that it also does well in the similar environment in the up-and-coming Lodi region. This wine features loads of juicy lemon notes. Aged entirely in stainless steel, the finish is clean and refreshing. While we’ve released a couple of white wines from Washington’s Columbia Valley this year, our first red from the region is a great example of what this young growing area is capable of. Although some small-scale vineyards were planted in the Columbia Valley in the early 1900s, commercial planting didn’t begin until the 1960s. Since then, high-end winegrowing has jumped by leaps and bounds, with Washington trailing only California in premium wine production. Recently, a new winery has been opening in the area every thirty days! There are certainly world-class producers located here, with Quilceda Creek and Leonetti crafting Cabernet Sauvignon that can age for years and charging accordingly for it. The Walla Walla Valley, home of Cougar Crest, is a subzone of the larger Columbia Valley region that is known for producing especially high-quality wines. The small, family-owned winery also grows all of the grapes for their wines, meaning that they have total control of the process. This includes irrigation, which plays a key role in grape growing in this incredibly dry climate east of the Cascade Range. By irrigating with just the right amount of water, the Hansen family ensures that the grapes grow ripe and concentrated. 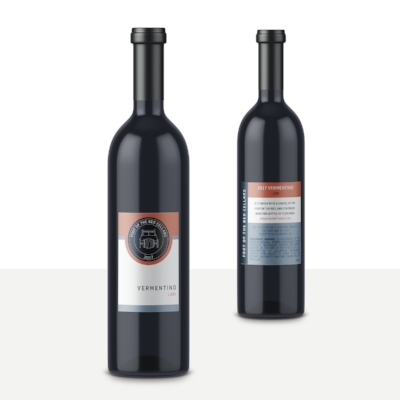 The lush character of this Cabernet Franc is a great example of how the grape, which is often used in blends, can stand alone if grown in the right place with great care. While our Cabernet Franc bottling from Cougar Crest Winery originates in a very warm, sunny, dry climate, this red grape variety has also been grown for several centuries in the cool, damp environment of France’s Loire Valley. Here, Cabernet Franc is light, fresh, herbal and incredibly savory. It is really remarkable that Cabernet Franc is capable of producing wines that are so different in style. Matthieu Vallée has become one of the most talked-about winemakers among sommeliers since he began revitalizing these vineyards ten years ago. This is a great example of the pure, fragrant, and slightly rustic nature of Loire Valley red wine.